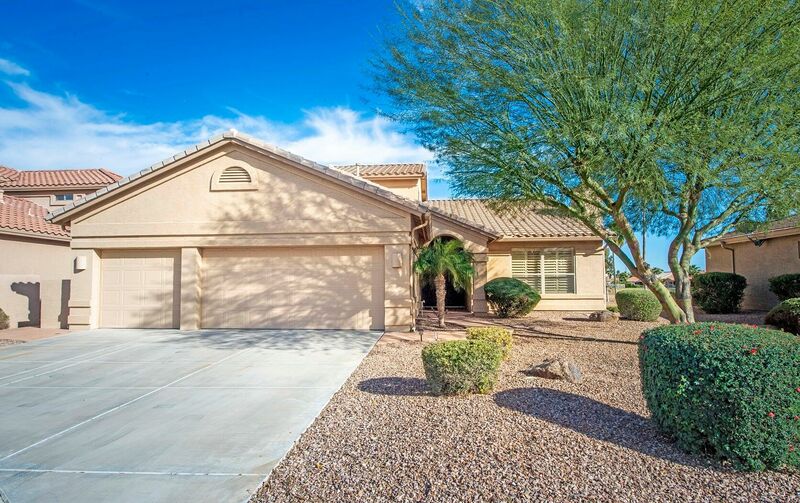 10051 E Nacoma Ct in Sun Lakes AZ has just been listed for sale! Lakefront Home Just Listed at 10051 E Nacoma Ct in Sun Lakes! You can’t go wrong with this incredible home! 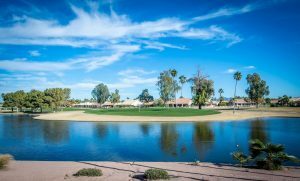 Located on a premium lakefront, golf course lot featuring 3 bedrooms, 2.5 bathrooms, and a den all at the end of a quiet culdesac. Inside this single story home, you will find a gourmet eat-in-kitchen opening into a family room. The kitchen features Quartz countertops, large breakfast bar, maple cabinets, wine fridge, and wall ovens. No problem with entertaining here! Not only does the master ensuite offer you an extra sitting area but also a private slider to the back patio. Living at 10051 E Nacoma Ct in Sun Lakes, you will have both a formal dining and formal living room with a gas fireplace. Outside you have an expanded covered patio with a built-in BBQ. The real wow factor is the views! 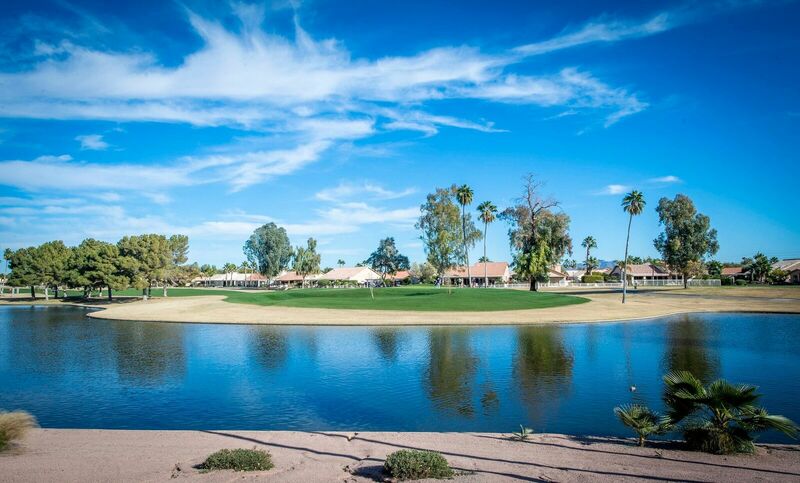 This golf course lot in Oakwood gives you views of the 3rd, 4th, 5th & 6th fairway on the Palms Course. Not only that view but the views of the lake and mountain make this a dream at sunrise or sunset! Living at 10051 E Nacoma Ct in Sun Lakes gives you the best of two worlds! You have the peace and quiet of your own home with the feeling of living at a resort. Oakwood Country Club offers you golf, tennis, pickleball, walking paths, great dining, and so much more! Whether you want to stay in or go out, living in this active adult community has it all. Contact The Kolb Team here or call at us 480-440-0849 for more information on 10051 E Nacoma Ct in Sun Lakes.